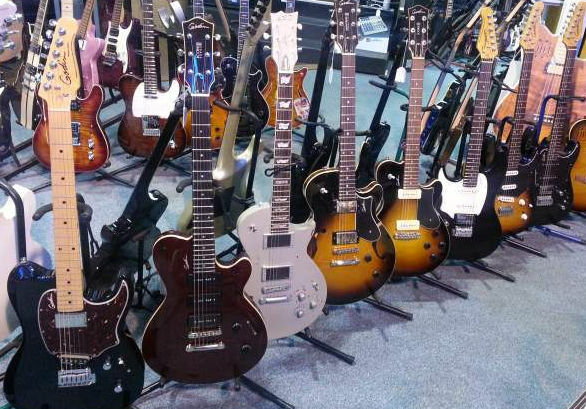 How to choose a guitar? In this article I would like to provide you some advices you should consider before buying a kid’s guitar as well as where to buy them for the best price. Size is an important concern when buying a guitar for children. (It wouldn’t be a good idea at all to buy your son or daughter just a normal sized guitar.) It is important that the guitar is not too large for your child. Otherwise it will be impossible or at least quite not comfortable playing it. On the other hand, you don’t want to buy a guitar that your child will outgrow in a few months. 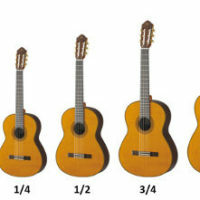 For choosing the right size, you’ll find a guitar size chart in order to help you here. For instance, for a 5 years old child who is 3’9” tall, you should buy a 1/4 guitar. 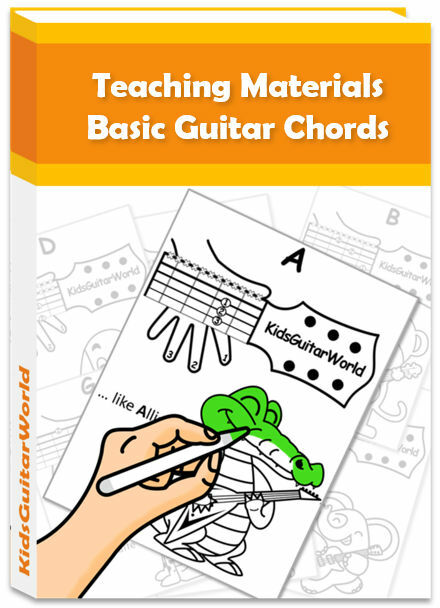 You should also take into consideration that guitar size is only one part of making it easy for your child to play. Actually, it’s possible to start on every type of guitar but a classical guitar with nylon strings is for sure the best choice for kids. The strings are relatively soft compared to the steel strings found on steel string acoustics. The tension of these strings tends to be fairly low which also helps kids’ fingers. That’s why, the classical guitar is the most sold guitar type for kids. There is a big range of different models on the market. 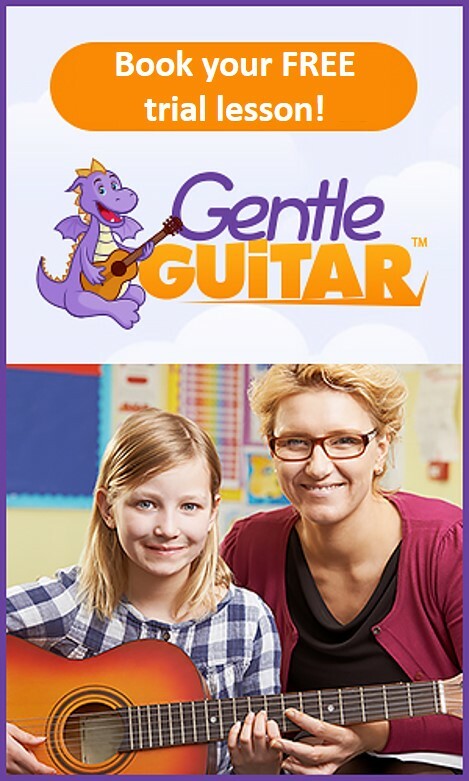 Parents are concerned with getting value for money, especially if the child has only recently taken an interest in the guitar. 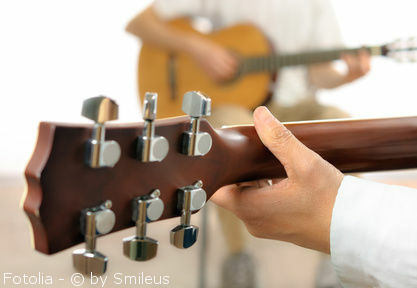 A beginner, reasonable nylon guitar can be bought starting from $100. It’s likely your child will ask you for an electric guitar straight away. Often electrics are not recommended for children as a fist choice. However, they have also some advantages, such as a slimmer neck and a pretty low tension on the strings. But keep in mind, they also use steel strings that are often too harsh for kids. 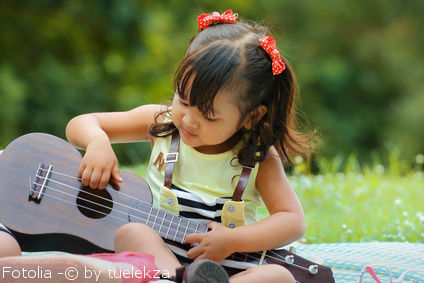 Depending on your child’s motivation and dedication, it may be better to buy a nylon guitar first, and then let them prove that they’re ready for an electric guitar after a couple of months of practice. An electric guitar needs in addition to the guitar an amplifier and guitar lead and a lot of stores offer packages. In a seperate article you’ll find a lot of more information on each guitar type. A good musical instrument has got a certain price. That principle applies also to kid’s guitars. Of course, in the beginning it doesn’t make too much sense to get the best or most expensive guitar because your child will outgrow the guitar anyway. For around $100 you get already quite good guitars for kids. But you shouldn’t spend less than $80 and here is why: under that price the quality varies greatly from guitar to guitar. So it can happen that you’re lucky and you get a cheap guitar with an acceptable quality. However, it can be also the case that you get a crappy guitar and since you are not a guitarist you won’t notice it. Cheap guitars are made of cheaper materials than more expensive ones. They use plywood bodies. More expensive guitars are made of solid woods like mahogany and rosewood. Cheaper guitars also have cheaper paints, finishes, hardware and so on. Typically, a cheap guitar doesn’t stay in tune nearly as well as a higher-end instrument. A cheap, poorly made guitar is no fun to play. And if a guitar is no fun to play, chances are quite high that it will end up collecting dust in a corner somewhere. In the following, I would like to give to easy advices how evaluate the quality of a guitar. The most important material in the construction of a guitar is the wood. In the product description you’ll always find the information whether the guitar is made of laminate or solid wood. Second, the wood type should be also specified. If the wood type is not specified, it’s already a sign for a low-quality guitar. Parents and beginners may wonder whether it’s better to have for example the top made of rosewood or mahogany. So where is the difference? There is difference regarding the tone. However, as a beginner your ears won’t really hear a big difference. So you shouldn’t spend too much time on that. If wood types for the different pieces are mentioned, take it already as a good sign. Since the top of a guitar produces the sounds, it’s the most important piece of wood on a guitar. If you want to get a quality guitar its top should be made of solid wood. Beside the used wood for the top the varnish has got also a strong influence on the sound. 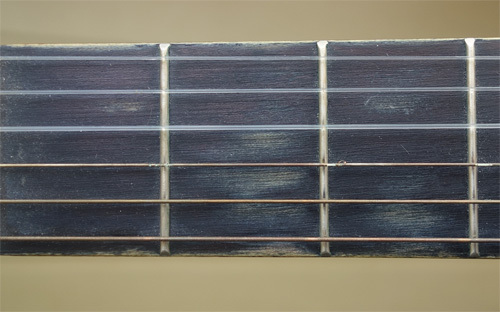 The varnish is a perfect indicator for the quality of a guitar and especially it’s even for a beginner to see the difference between a poor and good varnish. One simple rule applies: the thinner, the better. 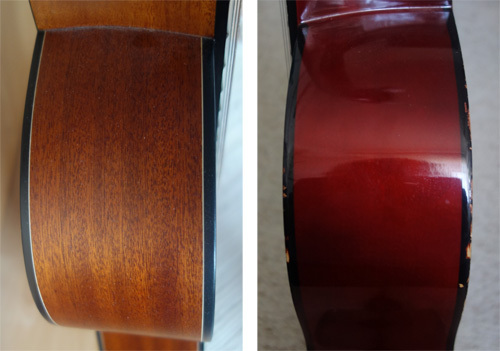 Low-priced kid’s guitars have always a thick varnish (see image for the difference).Another thing you can do you is to smell on the sound-hole of the guitar. A good guitar has got a smell of wood, whereas a cheap guitar has got a chemical smell. And I think an instrument that smells a lot like chemicals can’t be too good for a child. It’s important to get a beginner guitar that is made reasonably well that can play and stay in tune. If a guitar is not made well enough, no matter how well you tune it, it may not make sounds in tune and it’s important for your child to hear what they play in tune. A good guitar stays normally quite long in tune (how long exactly depends also on the temperature varitions of the environement). In contrast, many low quality guitar can’t even hold the tuning for an hour. Where to buy kid’s guitars? Normally, it’s the best way to go to a music store in order to buy one. Only in a store you have the possibility to try out all the instruments. However, for kid’s guitars it’s slightly different. On the one hand, most of the stores don’t have a big selection of guitars for kids. On the other hand, a child can’t really tell you what kind of guitar he prefers.. The most important thing is that you have the chance to return the instrument if your son or daughter loss the motivation and dedication to learn the guitar just after a couple of days. And that possibility for musical instruments you have at online stores for sure. That’s why I recommend you to get the instruments for example at Amazon that has got also a bright range of classical kid’s guitars. I don’t recommend you to buy a guitar in supermarkets since most of them are made off cheap materials. Keep in mind: Buying a guitar is an investment in the musical future of your child.